Norman Mailer was the most famous writer of his generation. People who never read a word that he wrote knew who he was, whether because of his fame as a novelist or journalist, or his notoriety because of his many marriages and affairs, his rivalries with other writers (Gore Vidal, especially), his appearances on television, his campaign for mayor of New York City, his prominence as the leading public intellectual of his time. J. Michael Lennon was authorized by Mailer and the Mailer estate to write his biography, and as such, had access to family and friends, and to unpublished documents, notably Mailer’s letters (Lennon has edited the letters for publication by Random House, Mailer’s longtime publisher). He has interviewed more than 80 people for this biography, but most important of all, he knew Mailer for decades before the latter’s death in 2007. 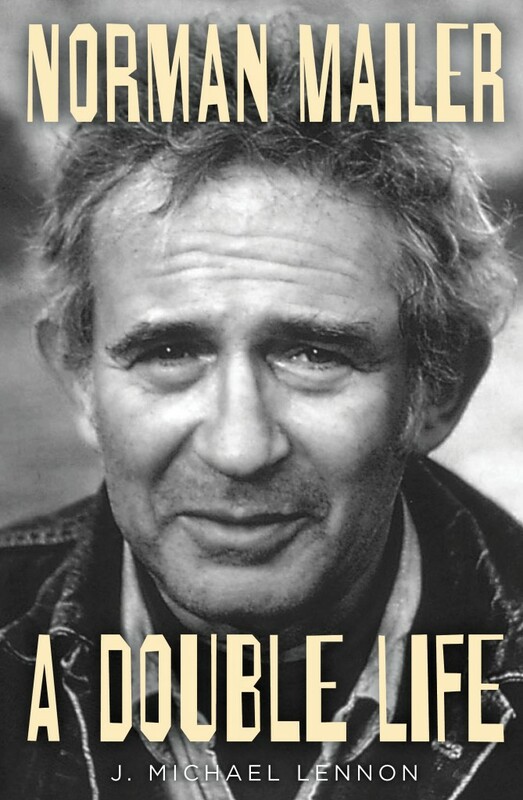 Norman Mailer: A Double Life reflects Mailer’s dual identities: journalist and activist, devoted family man and notorious philanderer, intellectual and fighter, writer and public figure. Mailer himself said he had two sides “and the observer is paramount.” Readers of Lennon’s biography may find this self-assessment to be debatable. Appropriately sprawling biography of the larger-than-life writer, brawler, provocateur and bon vivant. Norman Mailer (1923–2007), writes archivist and authorized biographer Lennon, grew up in a reasonably happy family, with a strong mother and dapper father, who, as Mailer wrote, “had the gift of speaking to each woman as if she was the most important woman he’d ever spoken to.” Mailer himself was fairly obsessed with women, though his quest was often thwarted—as he recalled, particularly at Harvard, where he served something of an apprenticeship. Mailer came into adulthood with a noticeable chip on his shoulder and some well-aired grievances, and he kept the pattern up throughout a long and productive life. As Advertisements for Myself (1959) proclaimed, for instance, he maintained running feuds and rivalries with all manner of writers—and, as Lennon reveals, even took Ernest Hemingway by the horns, occasioning an apology from Papa some years later. He also battled editors and critics from the start, though Hemingway helpfully instructed on the matter of reviews, “Try for Christ sake not to worry about it so much. All that is poison.” Lennon ably reveals the always-contentious Mailer but also a man who could be generous and very smart. Lennon is also a shrewd literary critic, commenting on the origins and fortunes of Mailer’s works, notably his study of Marilyn Monroe, which laid bare “his narcissism, born of early spectacular success.” Mailer possessed an outsized ego well before then, of course, but the point remains: Though he seems to be little read now, Mailer was of central importance in postwar American writing, as he would have been glad to tell you.